Rumours have been circulating for quite some time about a possible Assassin’s Creed remaster. Now Ubisoft has confirmed that the whispers were only partially true. A remaster is coming, but it is not for the original Assassins Creed trilogy. Rather, Ubisoft is bringing Ezio’s story to Xbox One and PlayStation 4. Ezio Auditore da Firenze, a Florentine nobleman during the Renaissance era, was a ladies man and a member of the Italian Brotherhood. After learning of his heritage, Ezio’s quest for vengeance turned into a life-long career and obsession. He eventually became the Assassin Grand Master in his later years. During his years in the Brotherhood, Ezio managed to complete the Codex, written by legendary Assassin Altaïr Ibn-LaÁhad; he saved Venice, Rome and Florence from Templar Rule; and he taught Chinese Assassin Shao Jun the ways of the Order. Now a brand new generation can experience Ezio’s memorable exploits. Assassin’s Creed The Ezio Collection will include remastered versions of Assassin’s Creed II, Assassin’s Creed: Brotherhood, and Assassin’s Creed: Revelations. Moreover, Ubisoft has confirmed that all released single player content will be included for all three games. 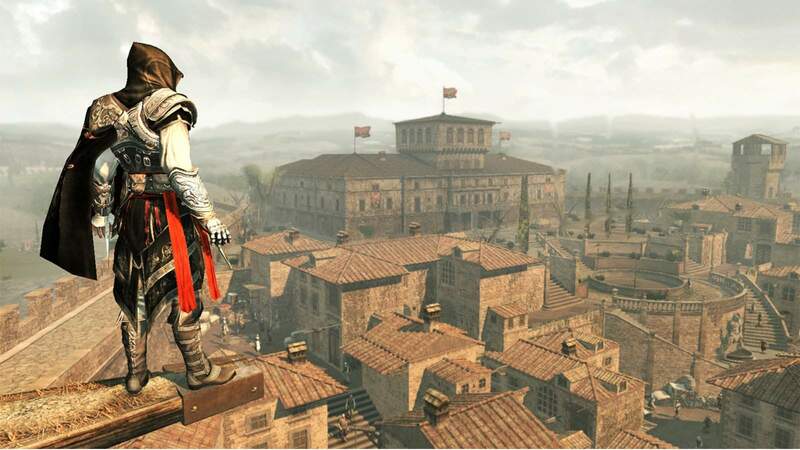 The Ezio Collection will also feature “enhanced graphics” that a re fitting for a modern-day remaster. Assassin’s Creed II not only served as one of the most beloved games in the franchise, but it spawned a trilogy that embodied the definitive experience. In their announcement, Ubisoft regards Ezio’s life as the formative Assassin’s Creed story and experience that everyone should play. As such, The Ezio Collection will put the singleplayer experience front and centre. The company has removed the multiplayer modes from all games entirely in favour of a smooth-sailing narrative. In addition to the three games and their added content, The Ezio Collection will also include Assassin’s Creed Embers and the entire Assassin’s Creed Lineage short films. All of these titles flesh out Ezio’s life story even more. “The complete trilogy will take you on a decades-spanning quest for revenge, power, and hidden secrets”. Assassin’s Creed The Ezio Collection will be available from 15 November 2016 for PlayStation 4 and Xbox One.